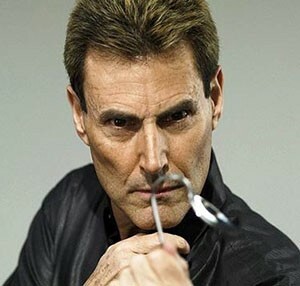 Possibly one of the most controversial magicians of the 20th century and in the history of magic is the Israeli pseudo psychic Uri Geller who continues to this day to deny that he is a magician. Fortunately his performances belie that claim, as his shows are really that of a magician. Geller was born in Tel Aviv in December 1946. When he was a young child he claims a ‘bright light’ from above engulfed him that he later stated gave him strange powers. When of age, he was conscripted into the Israeli army and was wounded during the 1976 Six-Day War. In 1978 he began to perform as a nightclub magician around Tel Aviv with his friend Shipi Shtrang that led to performances at universities, theatres and military bases, performing card and fairly standard magic tricks. Geller had an unusual personality, that of a humble performer who didn’t really understand how the tricks he was doing actually came about. He began to claim that his powers were paranormal and that he was psychic. It was not long before the public and magicians began to take more serious notice of this new phenomenon, as did the scientific fraternity. Despite being exposed as a mere trickster, his claims of metal bending, telepathy, and psychokinesis were done with the power of his mind, he still attracted a huge almost cult like following of believers. When he introduced spoon bending, stopping and starting clocks and watches into his show he gained even more popularity and notoriety that soon led to television appearances and trips to America, Australia, New Zealand, Europe and South Africa. He became the new age phenomena in every country he visited. He no longer performed traditional magic tricks or big illusions but rather mental mysteries that challenged his audiences that perhaps he truly did have strange powers! 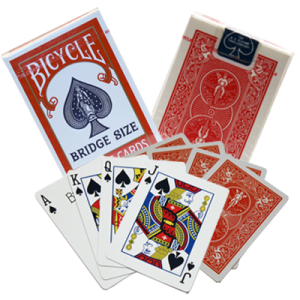 Spoon bending and reading sealed messages became his theme, often making use of stooges like Shipi Shtrang and Shipi’s sister Hannah sitting in the audience secretly making signals to him on stage. I first saw Uri Geller perform in Durban in the late 1970’s along with members of the South African Magical Society and we attended 3 or 4 shows that week. What amazed us was the fact that if he failed an effect, the audience applauded him, whereas if a magician makes a mistake or gets caught out, he would be criticized. However he made a great impact on the scientific boffins who attended his shows but failed to impress those of us from SAMS. I had a friend in Cape Town, Professor Leon Juritz, a Physicist who examined Geller in his Lab. and declared that Geller may indeed have had psychic powers. Two weeks later he retracted his statements saying that Geller was merely a clever conjuror using simple magic tricks and could duplicate almost everything Uri had done in his laboratory. Professor John Taylor of Kings College University London after examining Geller’s metal bending also wrote that what Uri could do was not faked and might even change science. It only took a short while before he had to retract his statements and to admit that he had been completely hoodwinked by Geller. Professor Taylor’s book Super Minds crediting Geller as having some sort of undefined powers became an embarrassment. bookings around the world, but was drawing criticism from the magic fraternity for his refusal to admit what he was doing were just simple magic tricks. James (The Amazing) Randi, a professional magician and escapologist wrote prolific articles and a book debunking Geller as a fraud that led to a libel suit. Randi and many other magicians were duplicating all of Geller’s effects by using magic conjuring, principals and techniques, while Uri maintained his stance as a psychic and was fast becoming very wealthy. Randi once stated that “If Geller was bending spoons with his mind then he was doing it the hard way”. Magicians were now all doing spoon and key bending and duplicating drawings hidden in sealed envelopes under the banner of mentalism. By now bending cutlery became known as the “Geller Effect”, and it was beginning to bend some people’s minds that it was maybe all real after all. Geller claimed he was using telepathy and E S P as well. For many years I performed as a professional mentalist in South Africa and have to admit that I was influenced by Geller, as were many mentalists, and began to include Geller type effects in our acts. However I felt I was piggybacking on Geller’s fame and almost believed that I could really bend cutlery. I was in danger of becoming a Geller Clone, so eventually had to rethink then alter my own act, by changing the format and style to be more original. Although I still did spoon bending and psychokinesis tricks, I never made claims like Uri, but instead made a disclaimer before each show leaving the audience to form their own conclusions. It is only in recent years that Uri Geller has agreed to attend magic conventions as a guest speaker still maintaining the stance that he is not a magician doing magic tricks. A few years ago he was hired by a large UK corporation to act as a psychic geologist to try and locate underground minerals and oil operating from an aircraft and paid incredible sums for these non- event endeavours that were once again unsuccessful. He seldom performs these days but has written a number of fiction and nonfiction books including his own autobiography titled simply ‘Uri Geller: My Story’ that is quite different from Dr Puharich’s book, although Uri’s book still retains many very weird claims. It’s like reading a science fiction novel filled with outrageous claims and nonsense with many inconsistencies throughout its pages. Had Uri admitted that he was a magician he would have been welcomed within the magic fraternity because he brought with him a new type of magic but his ongoing denial still excludes him. Uri Geller now lives in Berkshire. He remains wealthy despite losing his libel suits, owns a 1976 Cadillac car covered with bent cutlery, has made a few movies, and acts as a psychic life coach. He sells mind power kits and crystals, has been a psychic coach for one of England’s major soccer teams that never won a series despite him placing ‘energy crystals’ behind the goalposts. He continues to maintain that his power and energies come from an ‘alien out there’ paranormal entity. Had he perhaps accepted that he was just another regular magician doing magic tricks, then he would have been accepted by the magic community as one of us. Uri will indeed be remembered in the history of magic not for his marvellous illusions, but mostly for how he conned the masses and duped the wise men of science. Perhaps the lesson to be learnt is that although we as conjurors may perform by suspending the audiences’ belief temporarily we never claim supernatural or paranormal powers for our magic. Yes, we may be tricksters and the people know they are being tricked but at the same time we are entertaining them and everyone loves to be entertained…….. Gee, my coffee cup spoon just bent and my watch has stopped! Now how the heck did that happen?